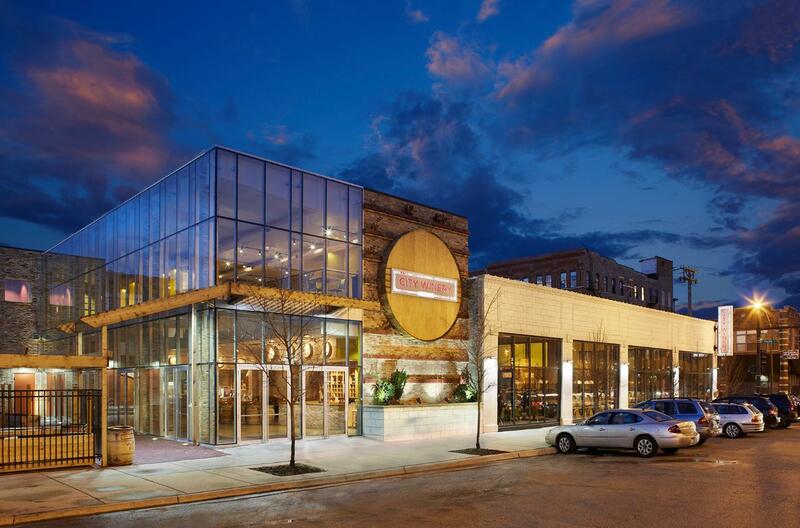 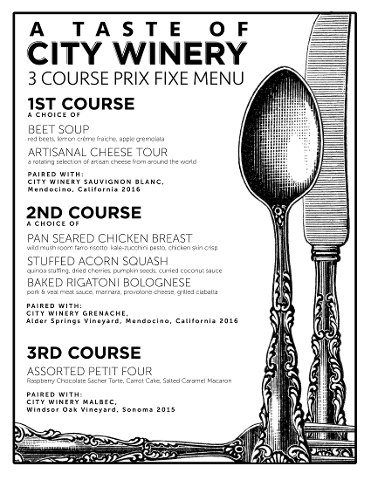 Taste of City Winery - Wine Tasting, Tour, Lunch and More! 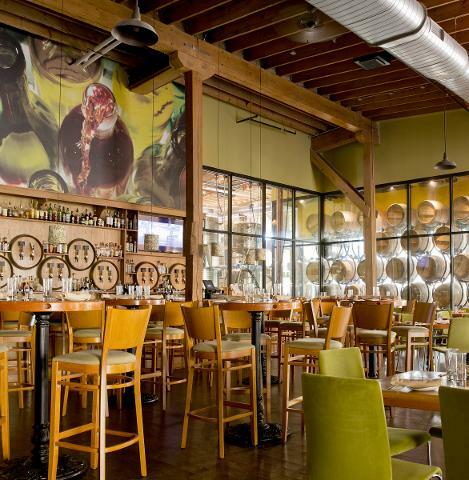 The perfect daytime urban winery experience! 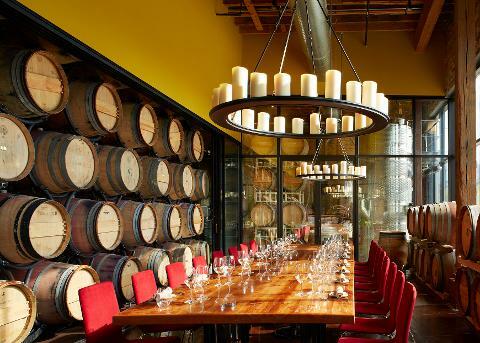 More than just a lunch, Taste of City Winery gives a behind-the-scenes tour of a working winery, premier concert venue, and unique event space. 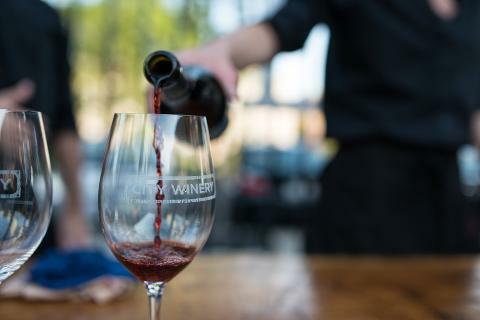 Enjoy generous tastings of wines made on-site paired with a delicious multi-course lunch.